There are so many easy and fun ways to repurpose old glass bottles. Vintage glass bottles are lovely, and there are some really nice new ones too. The prettiest ones are always tempting to hold onto, so why not do it? There are so many easy and fun ways to repurpose old glass bottles. Start by making sure the bottles are clean and empty. You may want to remove the labels — but sometimes they can be fun to leave on. It all depends on how you will reuse them. Here are several creative uses for those bottles. — Photo Frame. Pour some sand, stones or shells into the glass, put the photograph inside the bottle, and you’ve got a crafty picture frame you can put anywhere in your house to make a statement. — Soap Dispenser. Find a bottle with a similar neck to an old soap pump. Thread the soap pump onto the bottle. It’s an instant upcycled soap dispenser. You can even keep the labels on the bottle for some added decoration. — Chalkboard Bottle. Any kind of glass bottle will work with this one. Get some chalkboard paint, and paint the bottle how you want — a small section just for labeling, or you can cover the whole bottle and decorate it yourself later. Once the paint dries, gently rub it with some chalk. Now it’s a chalkboard ready for use. — Flower Vase. The classic repurpose project for old bottles. Just fill up any tall bottle with some water, a few flowers, and you’ve got an upscaled vase. Colored glass wine bottles are great for this project. — Salt and Pepper Shakers. No idea what to do with those super tiny sample glass bottles? They make excellent salt and pepper receptacles, just keep the tops (poke holes through them if you want). Fill with preferred kind of salt and pepper, and you’ve got a unique set of shakers. — Upscaled Candlestick. Secure a thin candle to the top of the glass, make sure it’s a tight enough fit. 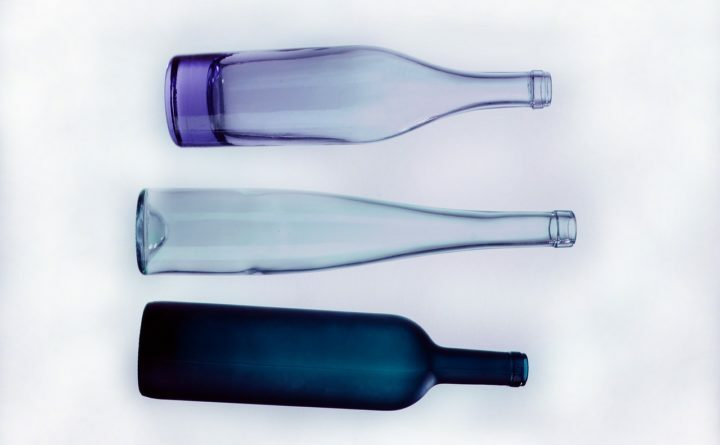 This project works best with wine bottles that have a sturdy base and a thin neck. — Texture Painted Bottle. Most craft stores sell textured paint. Spray some on the bottle of your choice, let dry and you have a handmade decorative piece. — Bottle Light. Fill any kind of bottle with fairy lights. Battery operated string lights are the easiest to work with. Use colored glass for a better effect. And do remove the labels — you want to see the lights.